Woah, I almost can’t really believe that I’m actually posting something finished on here, it’s been so long since that happened! 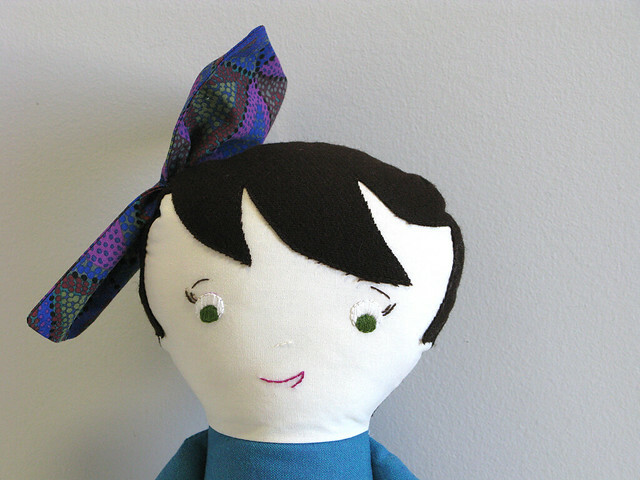 I made this little doll for a friend’s baby shower today which was a “High Tea Rager” themed party. Pretty amazing right? I know, I wish I would have thought of that idea for my next party too. We drank many varieties of tea, indulged in homemade baked goods and left with homemade apple butter. Seriously the best party ever. 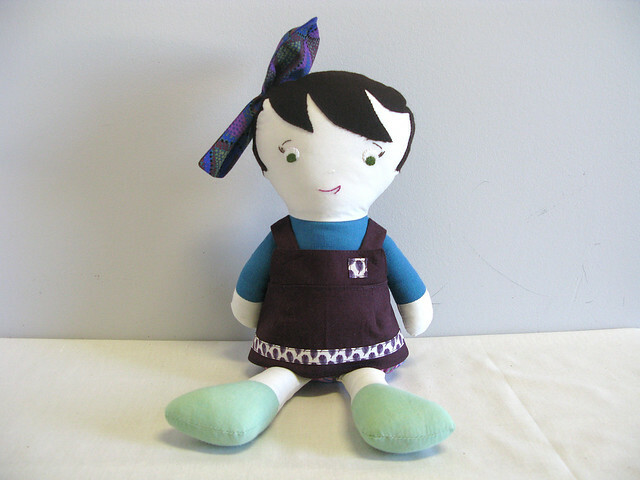 Anyway, this little girl you may recognize as Olive from the Wee Wonderfuls’ Make-A-Long Story. 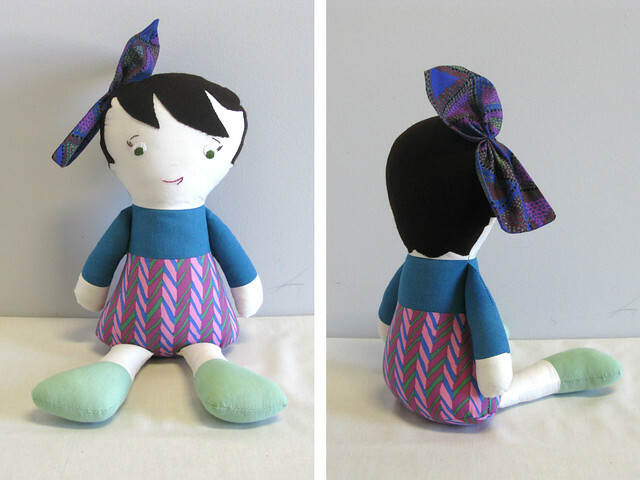 There have been so many variations of these little dolls made, I have been itching to make my own since the patterns came out. I’m pretty pumped with how this little lady turned out, in fact, it was pretty hard to wrap her up this morning. Luckily she’s off to an awesome new home and ready to get gnawed on. Or thrown up on. Or whatever else babies do to dolls. But know this, she’s preshrunk and ready for the challenge. I love this so much! I don't which I love more her acorn or her hoody! what an amazing doll!! 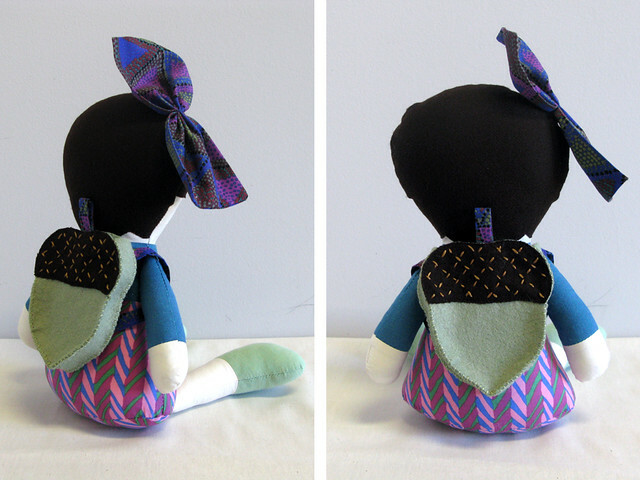 I love her little acorn backpack. You did an incredible job!! Aw, thanks so much ladies! It felt so good to get back to making stuff…srsly. This doll is adorable! 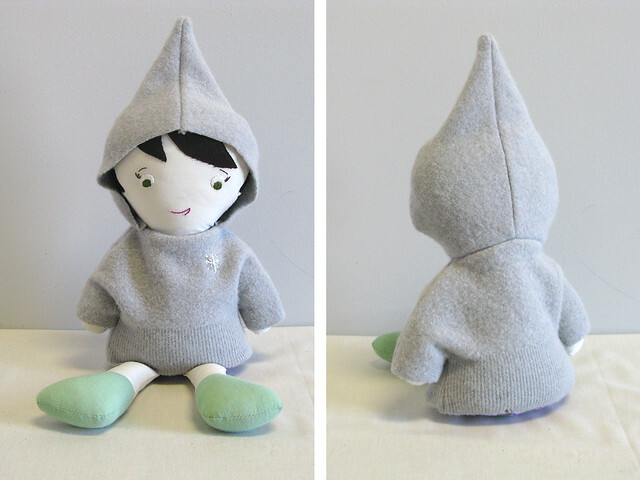 And it's got me thinking about making some more plush creations… thanks for the inspiration! Also, the embroidered eyes look great and not at all creepy, I always have trouble with that part. K this is the cutest thing EVER! I really really want to make one now. I especially love the mint green feet and the hair bow.